Former two division champion Conor McGregor’s long-awaited MMA return is official as Irishman will challenge lightweight champion Khabib Nurmagomedov at UFc 229 which is set to take place on Oct. 6 in Las Vegas. UFC president Dana White confirmed the news during UFC 25th anniversary press conference on Friday. The lightweight bout will headline the UFC 229 PPV event. Mcgregor last fought inside the Octagon at UFC 205 back in 2016 when scoring the lightweight title after defeating Eddie Alvarez to become a dual-division champion at 145 and a 155 pounds. Irishman forced to relinquish both of his belts due to inactivity and then in 2017 he pursued a blockbuster boxing bout with Floyd Mayweather. McGregor lost via TKO in the 10th round but banked hefty payday. In his absence, Khabib Nurmagomedov won the lightweight title after defeating short notice contender Al Iaquinta by unanimous decision at UFC 223 in April, following an injury to then-interim champion Tony Ferguson. Last month, McGregor avoided jail time by pleading guilty to disorderly conduct and was asked to serve community service and attend the anger management classes, that stems from his antics inside Barclays Center, couple days prior to UFC 223 event. McGregor who flew with members of his entourage to New York and threw a metal dolly at UFC fighters bus that left two fellow fighters suffered lacerations. The intense rivalry begins when Nurmagomedov had heated hotel altercation with Mcgregor’s teammate, Artem Lobov, and slapped him for previously running his mouth. Despite his lengthy hiatus from MMA, Irishman still considered top lightweights in the sports. 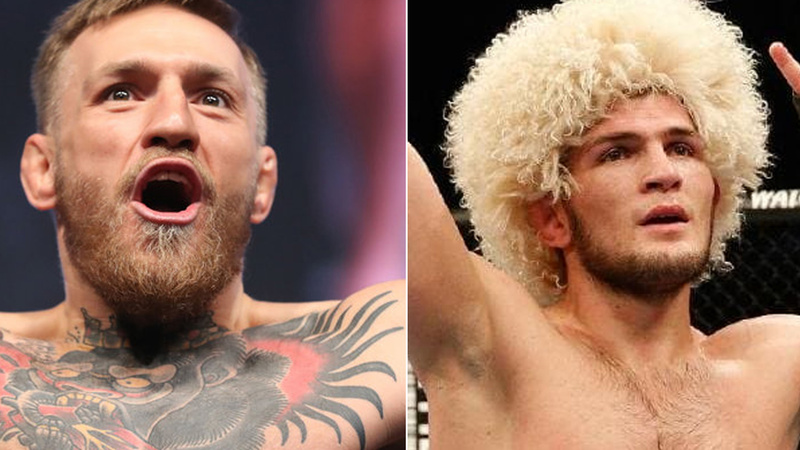 Both fighters own very different fighting styles, as Nurmagomedov’s biggest strength is his wrestling and ground-and-pound which is McGregor’s weakness defensively. On the other hand, McGregor’s striking on his feet is incredible which could dissuade Khabib from shooting in so aggressively. McGregor’s biggest rival, Nate Diaz, was also in attendance at UFC 25th anniversary press conference, for the announcement of his Nov. 3 showdown against top lightweight contender Dustin Poirier at UFC 230 in New York. On being asked why he chooses Poirier instead trilogy with Mcgregor, Diaz joked he already beat Mcgregor twice, despite their UFC 202 rematch where McGregor won via disputed decision. Diaz stormed out during the promo announcement of McGregor’s return. McGregor lost to Diaz via submission in their welterweight bout at UFC 196 back in 2016, then five months later in their rematch Mcgregor won a decision.